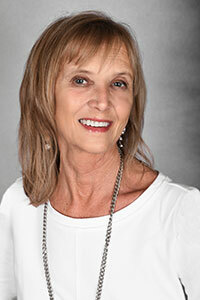 Kathy manages 6 property teams for Canyon View Properties in Springfield, MO with a combined 1540 units. Kathy joined CVP in 2012 with 15+ years’ experience in the Hotel/Motel Management field. After owning and operating her own business for over 8 years in this industry, she transitioned into multifamily housing in 2007. Her experience working in all positions has given Kathy a broad vision in the multifamily industry. She has expertise in leasing, sales, management, accounting, and operations. Additionally, she brings experience in low-income housing, tax credit compliance, Fair Housing compliance, and real estate development to CVP. She has been invaluable in leading, developing, and maintaining updated policies and procedures for all CVP operations. Kathy’s ability to supervise her team of over 30 motivated individuals and develop a truly fun environment for everyone has been a real asset to all of CVP, and it shows in her numbers with her region consistently performing in the high 90’s.